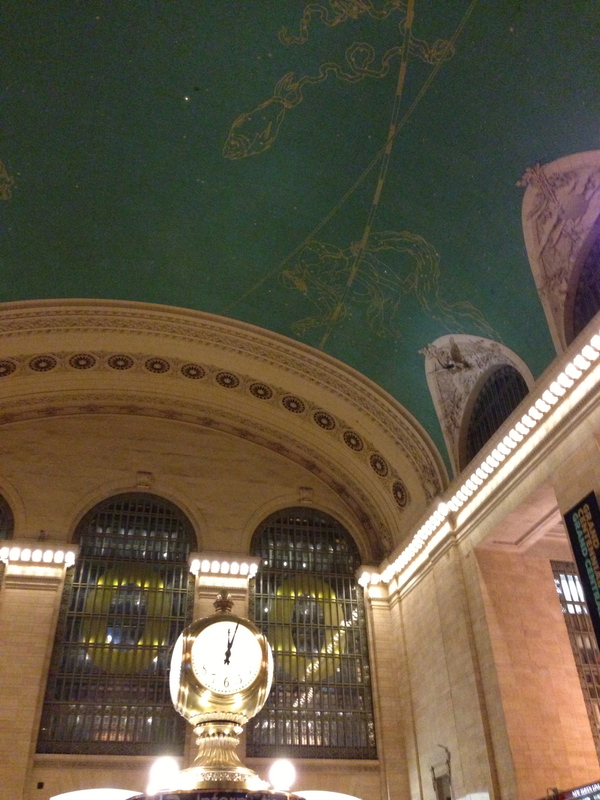 At midnight tonight, the crews, security, police, and station manager were on hand to see the famous clock above the information desk signal the beginning of Grand Central Terminal’s 100th birthday. Just like a film set, everyone was concentrating on pulling magic out of a hat for the public birthday celebration that begins today. 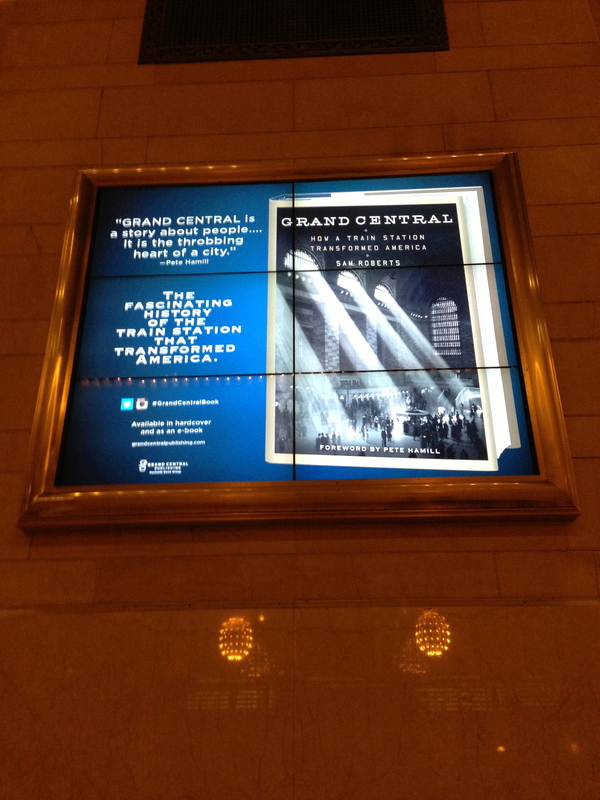 If you’re within commuting distance, get over to Grand Central today to rub shoulders with celebrities, artists, and officials commemorating 100 years of our beautiful terminal. At 10am, see Cynthia Nixon, our poet laureate Billy Collins, Keith Hernandez, Caroline Kennedy, Melissa Manchester, and (yes) the Vanderbilt family pay tribute in a rededication birthday celebration. Check the web site for the afternoon schedule of honors, music, giveaways, and 1913 prices (one day only!) for shoe shines (10¢), fries (10¢), loaves of rye bread (6¢), pasta (5¢), and cocktails at Michael Jordan’s (75¢). Also, be sure you seek out the replica of the Terminal made out of Lego bricks in the Station Master’s Office. Then, dance the afternoon and night away (until 9:30) with Grammy Award-winning big band Vince Giordano and the Nighthawks. The celebration continues all year, but more on that later. If you can’t get there, enjoy the new history timeline from your desktop (especially the part in 1976 with Jackie). Or watch the Metro-North guys polishing up the chandeliers in Patrick Cashin’s photos on the MTA Flickr feed. This entry was posted in History and tagged culture, design, events, history by mssusanb. Bookmark the permalink.